Despite the market’s decline in 2018, predictions say that trading volume could jump by 50 percent this year. If you're a beginner in crypto trading, read our guide to make sure you're ready for the next market upturn. For beginner cryptocurrency traders, the cryptocurrency market can sometimes feel like a wild rollercoaster ride. Many made their millions when the market soared in late 2017. Unfortunately, the party did not continue forever as the market promptly declined throughout 2018 and many of these overnight millionaire cryptocurrency traders lost their fortunes just as fast. Our dummies guide to cryptocurrency trading for beginners should help those looking to enter the market get a head start. 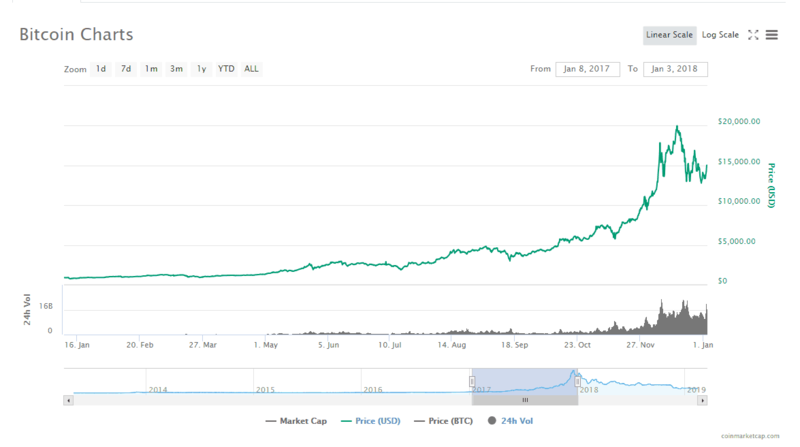 Thankfully, the lackluster performance of the market last year is not likely to deter investors from trading in cryptocurrencies which means opportunities to recoup the losses still remain in a future bull market. In fact, a report by Satis Group predicts that crypto trading volume for 2019 is likely to increase by 50 percent. For those gearing up for another year ahead, here are a few tips that might help you come out on top. The saying “don’t put all your eggs in one basket,” might be old but its advice still holds true when investing in cryptocurrencies. According to TNW, diversification is essential as it could reduce overall risk especially if you invest in coins that service different sectors. Diversification might even be a good strategy when it comes to the cryptocurrency exchanges you deal with – it may be better to utilize a number of exchanges instead of just focusing on one to handle all your trades. Don’t just stick to trading Bitcoin. Customers of the Vancouver-based exchange Quadriga CX learned this lesson a little too late when they found out that they could no longer access their digital assets when the company’s founder Gerald Cotton – the only one who knew the key to the company’s cold wallet password – died in India last December 2018. 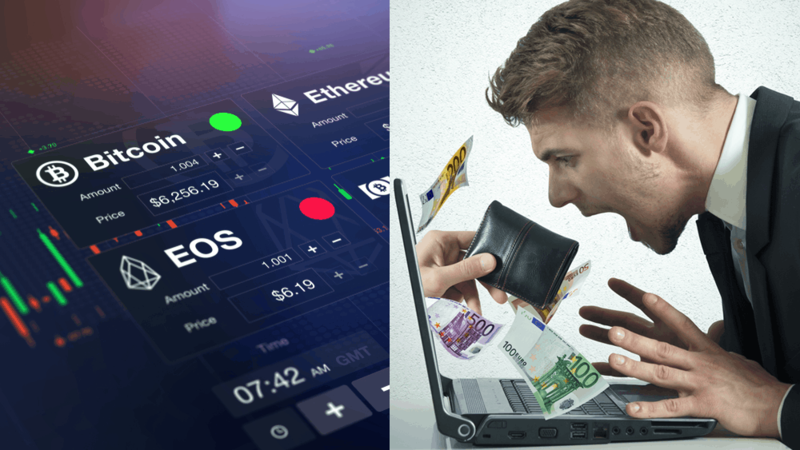 Beginners to crypto trading learnt a hard lesson about what can happen if you keep your crypto stored on an exchange. While diversification is good, overdoing it won’t help you achieve your investment goals. By spreading yourself too thin, you might miss out on investment opportunities and fail to take advantage of the spectacular performances of a few coins. This could result in your digital asset portfolio only doing as good as the overall market. With the prevalence of ICO scams in 2017, crypto investors are now more cautious and seem to have learned their lessons. But even in 2019, scammers are still around looking for easy prey. These simple steps will help you get started with your research to ensure you are not investing in a scam or fraudulent project. Cryptocurrency traders should always research the team. If a team member has a questionable past, investing is probably a bad idea. Google the name of the coin plus the word “scam”. Are their reports of fraud? If so, steer clear. Is the asset available on established, regulated exchanges? If so, it’s probably a safer bet than other assets and probably a better option for crypto trading beginners. Is the coin’s GitHub updated regularly? There should be active development. Are the team available to answer questions? A team which is unwilling to communicate with their community is usually a red flag and beginner traders should watch out. Lean cryptocurrency trading for beginners tricks to avoid scams! Of course, one way of steering clear from these predators is for investors to totally opt out of the ICO niche and stick to trading in more popular cryptocurrencies. While their prices may still be volatile at times, you can be more assured that these tried-and-tested coins like BTC won’t close up shop soon and Bitcoin traders will always be safer, relatively, than those investing in small-cap coins. But for those who want to brave the ICO waters and take advantage of potentially undervalued new tokens, researching these coins is still a must before deciding whether they are good investment opportunities. Always remember to read whitepapers thoroughly, you can usually find them in pdf format available for download. With the dozens of cryptos available for trading, the hard part is in picking which coins to invest in. This is especially problematic for those who don’t have the time to keep track of all that’s happening to the market. This is where social trading platforms like eToro come in. Users can actually track which tokens the site’s top investors are picking up and use their decisions as a guide. Users can even pair their portfolio to that of a professional investor, and the site automatically does the investing for them by mimicking the moves of the pro. Data breaches will always remain a threat to cryptocurrency investors. Forbes offers a surprisingly easy way to mitigate this risk, and that is to open a separate email account for one’s trading activities. This trading-only email account must have two-factor authentication in place for that extra layer of security. In addition, investors should choose a username and password that do not contain any hint that could give hackers a lead on who the email address belongs to. Forbes says that extra caution must be exercised when using mobile phones for crypto trading. According to the magazine, smartphones are more prone to physical or electronic tampering and that it is not advisable to use them for trading or storing large amounts of cryptocurrencies. Despite the ups and downs of the crypto market, the fact remains that people are going to trade in these digital coins more than even this year. In fact, a new cryptocurrency and blockchain survey by SharesPost found that 72 percent of crypto investors plan on buying more tokens this year to boost their digital holdings. Hopefully, these tips will be useful to investors in achieving their goals for 2019.